Freshly up on the site is finally the article on our trip to Northern Ireland, Titanic Tales and Thanks for the Fish along with a bit about The Consuta a rather splendid steam umpires launch I was lucky enough to be invited on by David Eager. In the workshop we have had a bit of an influx of Cloudhoppers clearly they are getting ready for the One Man Meet that is coming up on 18-20 October, details in the Balloon Meets bit under Events. On the blah-blah front it seems there are a fair few commercial pilots heading off for the winter this year and even some of the pilots who found themselves without a job following Go-Ballooning’s collapse earlier this year have now got employment. Malcolm ‘the Bear’ Campbell has been flying for Exclusive Ballooning and Andy Kaye, who was flying for Wickers World, has landed a job in Australia for the winter. Our old friend Chris ‘Yo-Yo’ Oxby who spent the summer flying a Virgin balloon from York is off to Burma along with Richard Ashford and Gavin Chadwick. 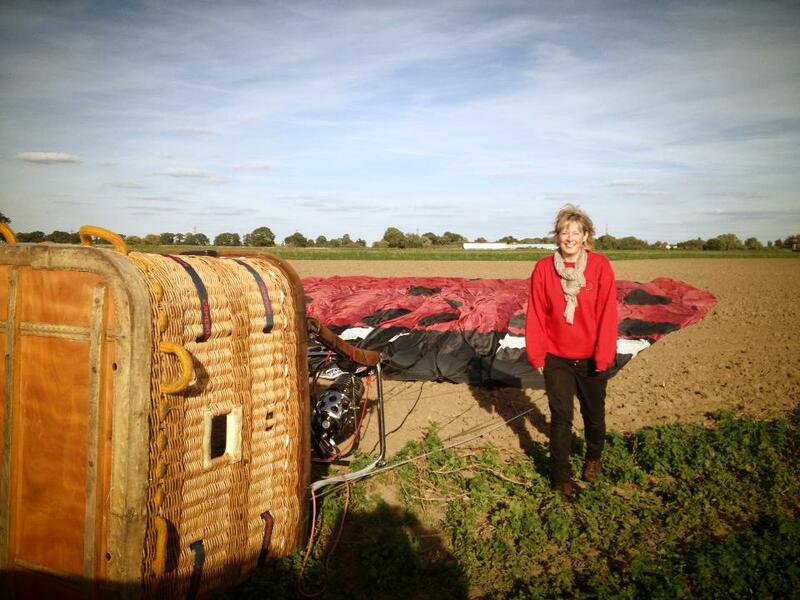 On the home-front Justin Moore, who has been flying for Kim Hull’s Adventure Balloons is escaping the winter to run his operation in Sri Lanka. We intend to hibernate from the end of November! The Old & Rusty department has gone from strength to strength. Having had a call from David Eager I ended up being invited for a trip down the Thames on the Consuta, a steam umpire boat built in 1898 for the Henley Regatta. Suffice to say I had a great day out. More elsewhere. Still on the ship theme our trip to Northern Ireland and a day in Belfast is also up. Dickie seems to be have filled his workshop up with a Scooter. We went and collected it from round the corner last week and it is truly a very large number of boxes at the moment with more to follow. We aren’t yet sure what it is exactly but looks like it may be an early Vespa. More later. Nearly forgot emergency repairs had to be carried out on the workshop kettle after the switch finally gave up. It never was right after Doug Beckwith threw it across the yard last year. Fortunately it had screws underneath so following a bit of wiring up it now works well again but cannot be left unattended! Thanks for visiting we hope you have a chuckle and look forward to seeing you (in a purely social way you understand) soon. Chris, Jane, John and Alice.